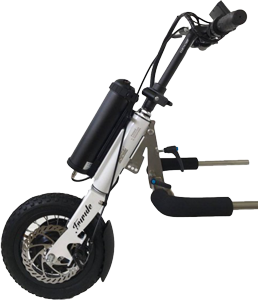 The Triride is compact, lightweight and attractive with agility and speed. Triride knows no obstacles — rough terrain and slopes are easily overcome. Great autonomy and power to satisfy even the most demanding users. A real revolution in powered wheelchair assistance which you can not do without! The removable electric propulsion device for wheelchairs. Tthe removable electric propulsion device for wheelchairs. The ease of use and lightness of Triride Base adds an even more powerful engine, able to guarantee maximum performance and satisfy even the most demanding users. Perfect for tackle most challenging situations, such as uphill or hostile locations, or users with a higher body weight 80 KG. 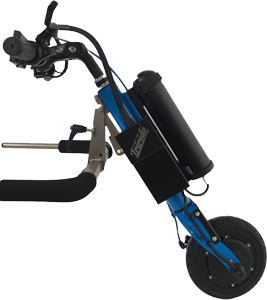 Versatile, lightweight, high performance, weighs just over 10 kg and provides a range of about 50 KM on a level path. Programmable with computer, reverse gear, cruise control and electronic brake is perfect in the interior, unparalleled in outdoor spaces and allows freedom of movement that is unmatched by other aids. It ‘available in four different colors, the standard equipment can be enriched with different options and there are many magnificent accessories, to better enjoy the new life with Triride. Perfect to face everyday life in simple and convenient. Versatile, lightweight, high performance, weighs just over 9 kg and provides a range of about 50 km on flat route. Programmable with computer, reverse gear, cruise control and electronic brake is perfect in the interior, unparalleled in outdoor spaces and allows a freedom of movement that is unmatched by other aids. Available in four different colours, the standard equipment can be enriched several optional and there are many magnificent accessories, to better enjoy the new life with Triride. Perfect for tackle most challenging situations, such as uphill or hostile locations, or users with a higher body weight to 90 KG. Versatile, lightweight, high performance, weighs just over 12 kg and provides a range of about 50 KM on a level path. It’s available in four different colors, the standard equipment can be enriched with different options and there are many magnificent accessories, to better enjoy the new life with Triride. 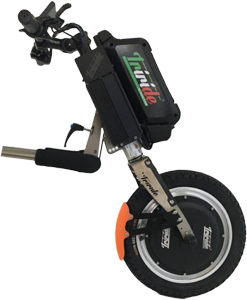 Triride Special HP16, the removable electric propulsion device for wheelchairs. Perfect for tackle most challenging situations, such as uphill or hostile locations, or users with a higher body weight to 90 KG. 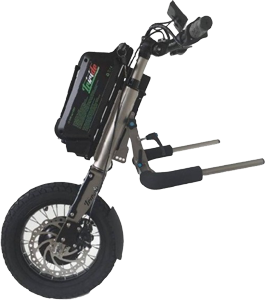 Versatile, high performance, weighs just over 12 kg and provides a range of about 50 KM on a level path. 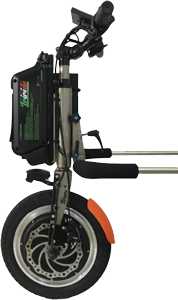 Programmable with computer, reverse gear, cruise control and electronic brake is perfect in outdoor spaces, and allows a freedom of movement that does not equals with other aids. It ‘available in four different colours, the standard equipment can be enriched with different options and there are many magnificent accessories, to better enjoy the new life with Triride. Available in two versions: the base engine and motor special light. Perfect for those who love traveling independently. 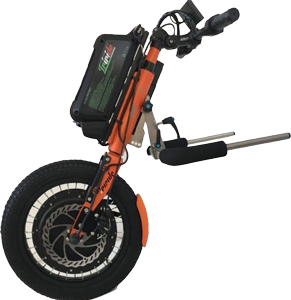 Versatile, lightweight, compact, high performance, weighs just over 8 kg, and provides a range of about 30 km on flat path. Perfect in the interior, and allows a freedom of movement that is unmatched by other aids. Available in four different colours, the standard equipment can be enriched with different options and there are many magnificent accessories, to better enjoy the new life with Triride. 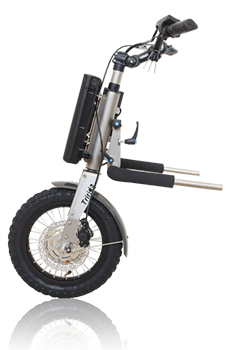 Versatile, lightweight, compact, high performance, weighs just over 7 kg and provides a range of about 25 KM on a level path. Is perfect in the interior, and allows a freedom of movement that is unmatched by other aids. For those who want to push! 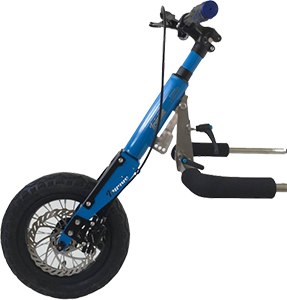 It weighs about 4 kg and has a powerful hydraulic brake to tackle the slopes in complete safety. Available in four different coulors, the standard equipment can be enriched with different options and there are many magnificent accessories, to better enjoy the new life with Triride.